Daniel is a New Jersey based health educator and activist with over seven years of experience as an educator and community advocate. Much of his professional work has centered on civic engagement and youth leadership development within the non-profit sector to leverage opportunities and resources for underserved communities. 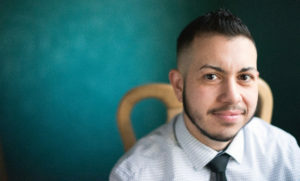 In particular, Daniel specializes in supporting transgender youth and adults, LGBQ communities of color, youth with different abilities, and working within the transgender Latino community. As an educator, Daniel has trained a variety of school, medical, non-profit and social service audiences, including fellow health educators, teachers, students and social service and medical providers. Daniel has also worked with an array of leading state and nationwide LGBTQ+ organizations including Campus Pride, GLSEN and PFLAG, and served as co-chair for the Gender-Sexuality Alliance Forum and Trans Youth Forum, two of New Jersey’s leading LGBTQ+ conferences. 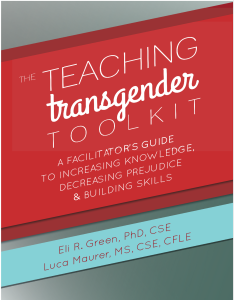 Daniel holds a Bachelor of Arts in Women & Gender Studies and Sociology from William Paterson University, and has been a member of the TTI team since 2017.